In order to pay respect to the incredible person and Noble Prize winner from Macedonia, Mother Teresa, a memorial house was opened in 2009. The house was built on the exact place where the old Catholic Church 'Sacred heart of Jesus' used to stand. In this church she sang in the choir and it was the church in which Gonxha Bojaxhiu found her inner peace after her father's death, thus this place is ideal for this memorial house. The memorial house has splendid architecture and design, it has a gallery, chapel and amphitheatre, all of which have significant meaning. The gallery's decoration represents the interior of a Macedonian city house at the beginning of the 20th century. Above the gallery there is a beautiful chapel where twice a week the priests from the Catholic Church hold services. At the lower part of the museum there is an amphitheatre where numerous educational projects, exhibitions and promotions related to Mother Teresa's work occur. 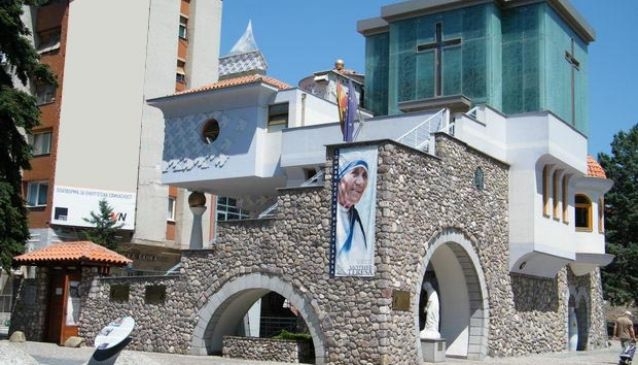 The Memorial House of Mother Teresa is located centrally in the city, on the well-known Macedonia Street, so it is easily accessible for all those who want to learn more about the precious humanitarian work of Gonxhe Bojaxhiu.